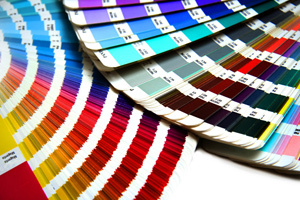 Paint stores that carry any of the major brands such as Benjamin Moore, Sico, Sherwin‑Williams, and Betonel/Dulux are normally equipped with a colour measurement instrument to find the colour formula. To repaint your Garaga door, just bring a sample of the colour you would like to match. By sample, this could be a piece of PVC/vinyl, aluminum or fiber cement siding or even something simple like the colour strips from the leading companies. Apply two finish coats of latex paint in the colour of your choice. WARNING: dark colours absorb radiant heat from the sun creating extremely high surface temperatures. DO NOT PAINT the raised PVC overlays on the door using paint with a light reflectance value of lower than 56.